The name is taken from the Mahjong term for the first shuffle of the tiles, which is said to sound like “twittering sparrows”. 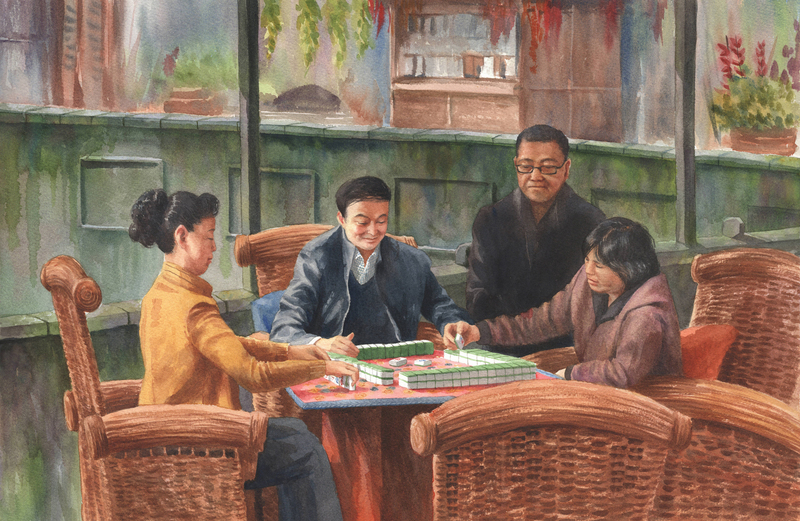 In and around Chengdu there were so many people being social and playing Mahjong. Shop owners would gather outside their storefronts to play against each other when business was slow. I loved the way each of these players had a different expression and experience of what was happening in the game at that moment. Copyright © 2019 Krista Brennan. Website by Elucidate Media. Based on the Hatch theme.